Born in New Jersey, Bush graduated from Stevens in 1884. (Hoboken, N.J. - Tuesday, Dec. 4, 2018) - With the passing of President George H.W. Bush, Stevens Institute of Technology is reminded of its connection to one of America’s most influential families. Samuel Prescott Bush, the patriarch of the Bush political family, was an alumnus of Stevens before making his mark in history as one of the top industrialists of his time. 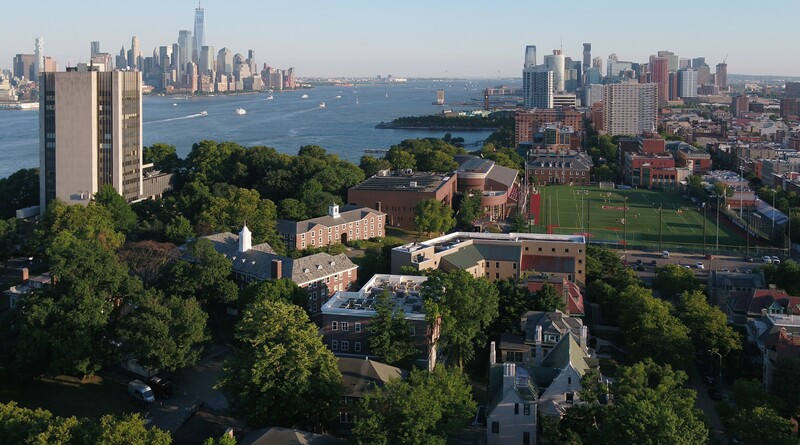 Born in New Jersey, Bush graduated from Stevens in 1884, with 41 other seniors in the university’s 12th commencement. He went on to build a successful career as a railroad executive and president of Buckeye Steel Castings Company, having taken the helm of the company from Frank Rockefeller, brother of John D. Rockefeller. During his time at Stevens, the grandfather of the nation’s 41st president and great-grandfather of the nation’s 43rd, studied mechanical engineering and outside of the classroom, rushed the football field with his teammates as part of one of the earliest regular college football teams in the U.S. He was also a member of the tennis team. With classmate John A. Bensel, Bush wrote his senior thesis on dynamometers, a device that measures the power output of an engine. His research prepared him for his career and served as a foundation for his work in expanding our country’s railroads, both shaping the industrial revolution and contributing to a flourishing economy. During the course of his career, Bush served as the president of the Ohio Manufacturing Association, sat on the board of the Federal Reserve Bank of Cleveland and was appointed to Herbert Hoover's President's Committee for Unemployment Relief. Today, Stevens keeps his entrepreneurial spirit at the forefront of its philosophy and approach to education, and continues the tradition of entrepreneurship and innovations that have the potential to impact society and how we live.